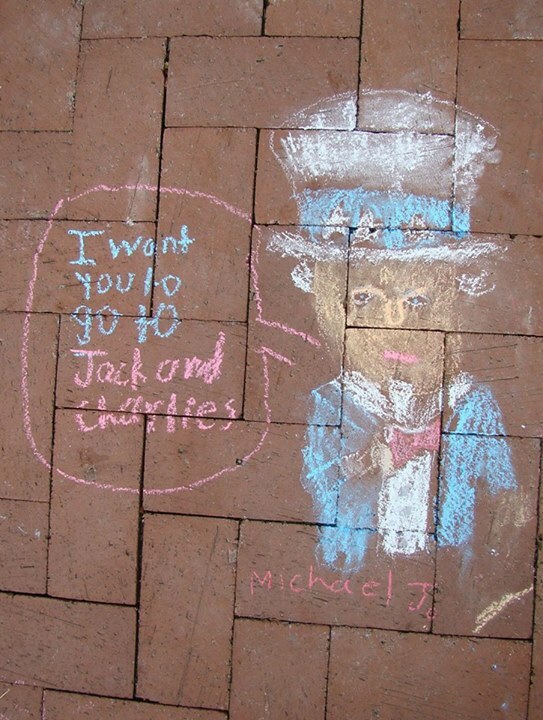 SUMMER FUN AT JACK & CHARLIE'S! Today's the day! 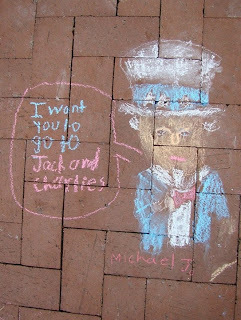 The Sidewalk Chalk Art Competition is on at Jack & Charlie's today from 2:30-4pm! Sign up for your age group (0-5, 6-10, and 11+) and draw your heart out - yummy prizes for 1st, 2nd, and 3rd prize...and free sprinkles for all participants!